EMCO Chemical Distributors Canada Ltd. Acquires Inortech Chimie Inc.
Axalta Coating Systems Ltd. has announced that its wholly owned subsidiary, Axalta Coatings Systems, LLC (the “Issuer”), intends to offer $875.0 million (equivalent) in aggregate principal amount of senior unsecured notes comprised of one tranche of dollar-denominated senior unsecured notes and one tranche of euro-denominated senior unsecured notes (collectively, the “Notes”), subject to market conditions, to qualified institutional buyers pursuant to Rule 144A under the Securities Act of 1933, as amended (the “Securities Act”), and outside the United States in compliance with Regulation S under the Securities Act. The Notes will be fully and unconditionally guaranteed by Axalta Coating Systems Dutch Holdings B B.V., an indirect, wholly owned subsidiary of the Company (“Dutch Parent”) and each of Dutch Parent’s existing restricted subsidiaries, subject to certain exceptions, but will not be guaranteed by the Company. 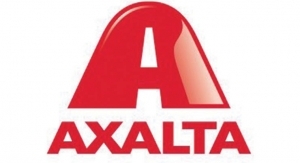 The Issuer expects to use the net proceeds of this offering to redeem the $750.0 million outstanding aggregate principal amount of the 7.375% senior notes due 2021 of Axalta Coating Systems U.S. Holdings, Inc., an indirect, wholly owned subsidiary of the Company, and Dutch Parent, to pay related transaction costs and expenses and for general corporate purposes, including to add cash to the balance sheet.